Implement self-guided technology in your workplace by simply driving the PowerPal on routes in manual mode. The camera-based Co-Pilot guidance system automatically maps the environment, learning routes and waypoints. This creates a flexible and easily implemented VGV that eliminates virtually all the setup costs associated with traditional SGV systems. Camera-based guidance transforms the PowerPal into a “trainable” Vision Guided Vehicle (VGV) that learns routes quickly: just by driving the routes in manual mode, the VGV will build a map, learning routes and waypoints that can be selected using a simple, hand-held interface. Once it is operating in autonomous mode, the VGV will respond to its environment, recognizing people and avoiding obstacles. Advanced safety settings protect people, equipment, and products from injury or damage. The PowerPal Co-Pilot instantly transitions from autonomous to manual mode—making it easy to use in changing environments where flexible power-assist towing is required. No need for complex systems or additional infrastructure—the PowerPal Co-Pilot starts work immediately, optimizing any environment where transport logistics are a part of the workflow. With a wide variety of hitch options, the PowerPal is able to pull almost any wheeled load. Whether you are pulling a cart, trailer, or specialized rack, your process can be automated with a PowerPal VGV. 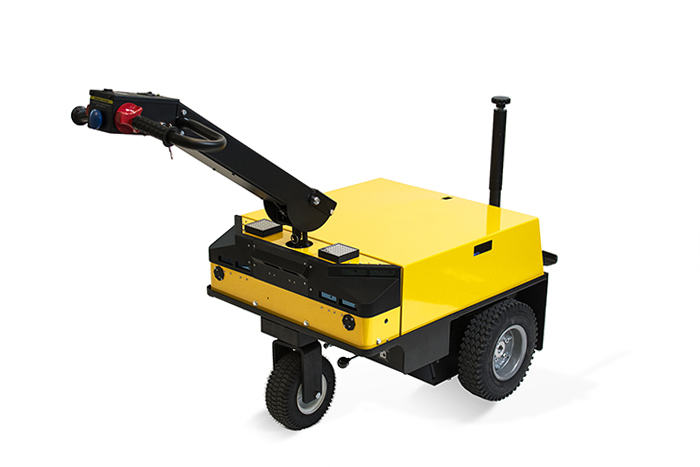 The PowerPal is a rugged, high-capacity industrial vehicle, capable of towing up to 6,000 lb. Used on manufacturing floors and in industrial settings around the world – the PowerPal is ideal for moving heavy materials such as sub assemblies, machine components and equipment. 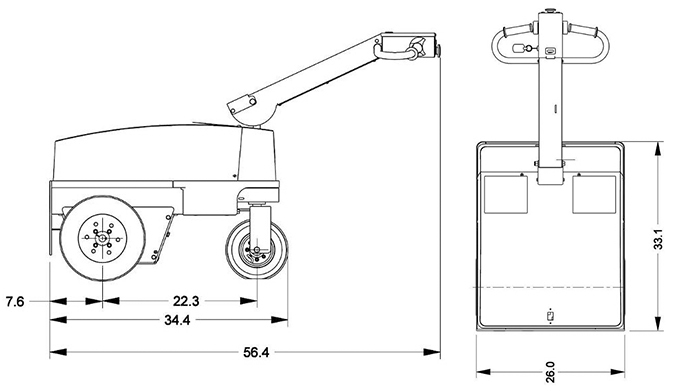 With a wide variety of hitch options, the PowerPal is able to pull almost any wheeled load. Whether you are pulling a cart, trailer, or specialized rack, your process can be automated with a PowerPal VGV. With Co-Pilot technology, the PowerPal has the best of both worlds: heavy duty capacity coupled with highly adaptive vision guided autonomy.